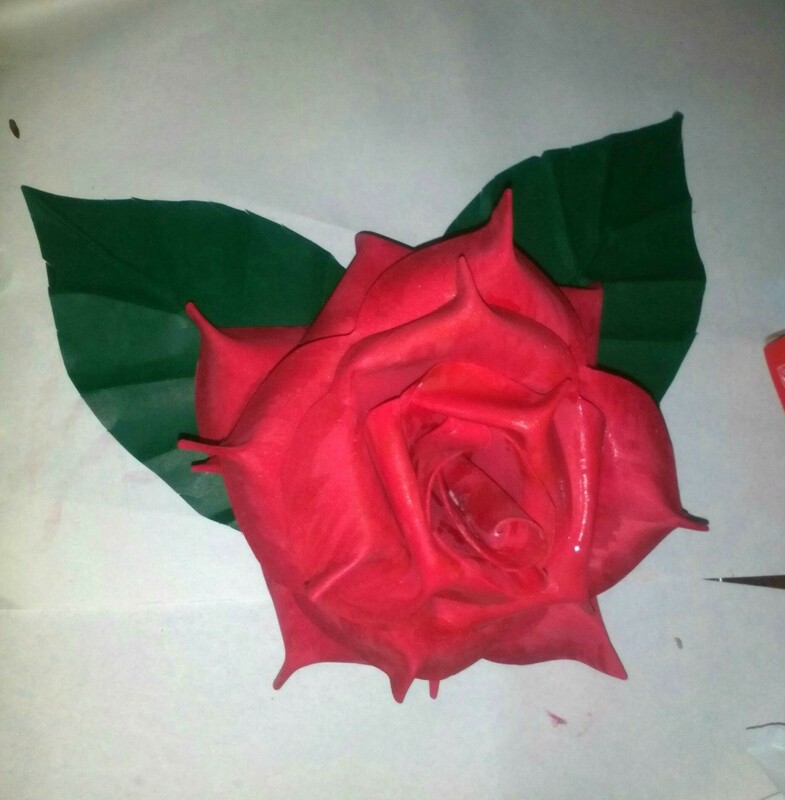 The final success of a craft project is often the result of the amount of time and attention paid to the details in its creation. 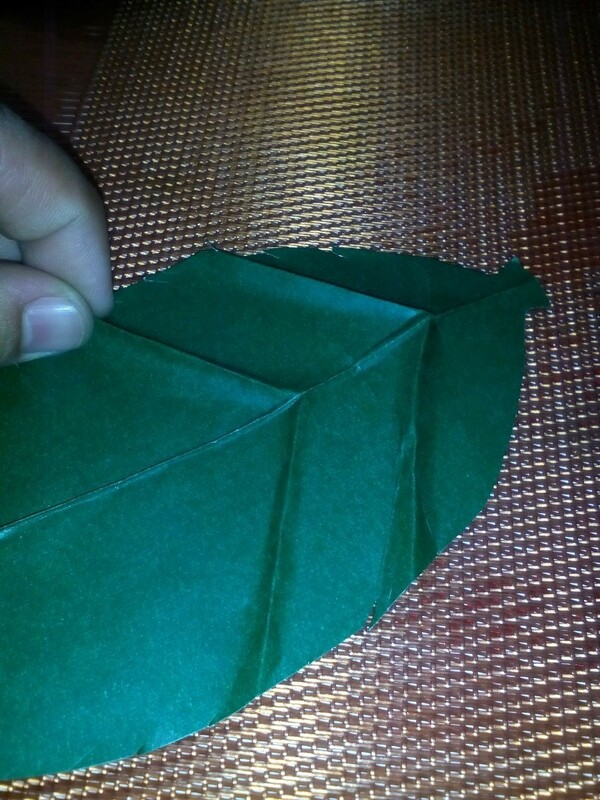 To make more realistic looking folded paper leaves follow the steps in this guide about how to make a folded paper leaf. Detail is important in art. 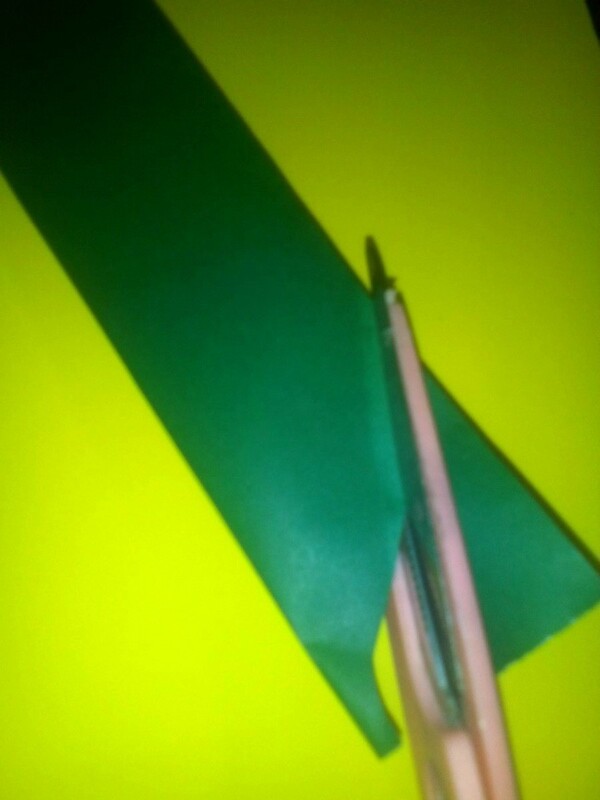 Giving details to your work adds interest to viewers. 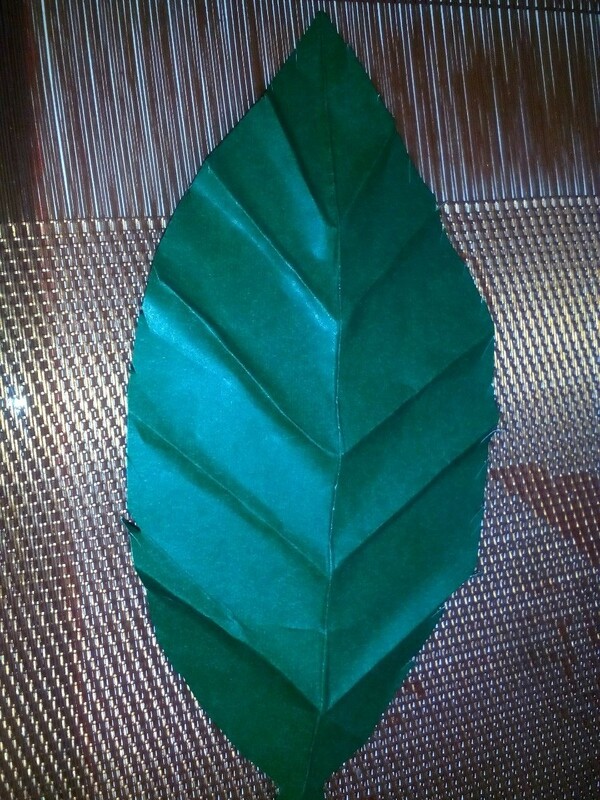 This craft might be a simple one, but by giving extra effort on folding, it should look better than any paper figures. 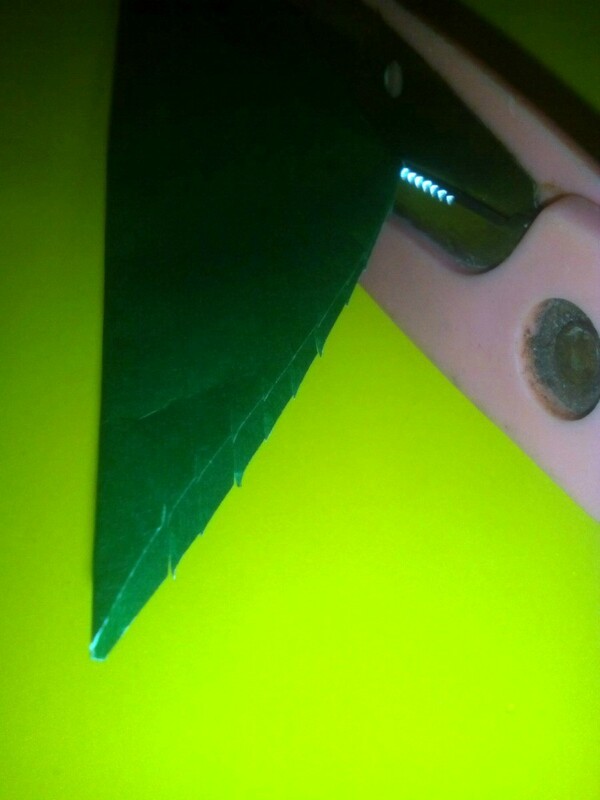 Cut paper in rectangular shapes. 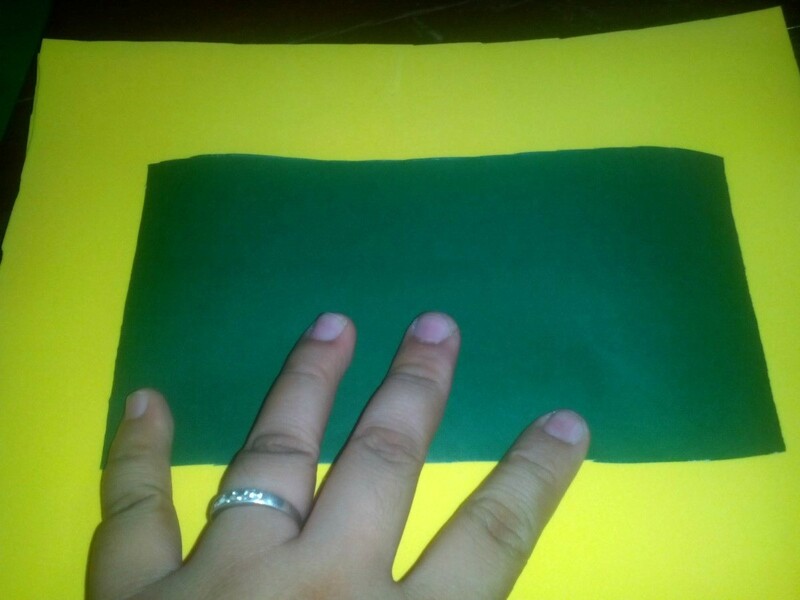 Estimate your desired size. 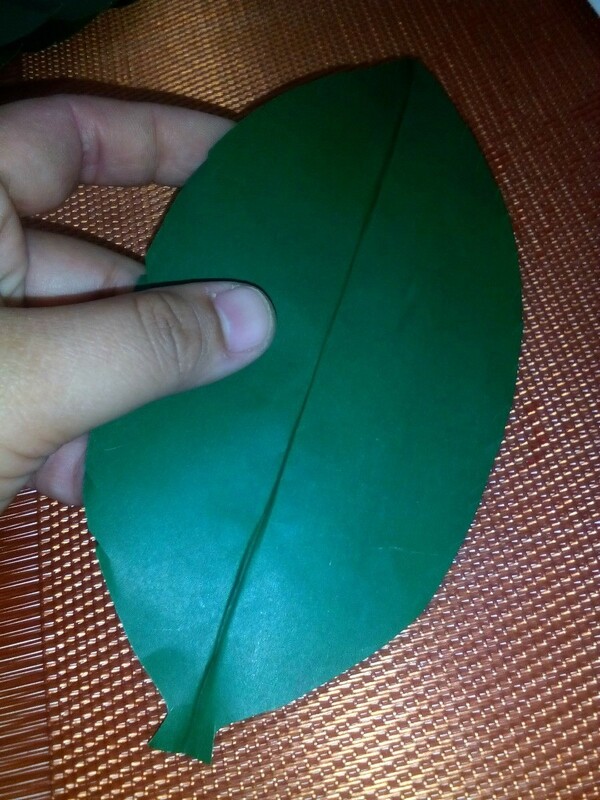 Fold the rectangle and start cutting out a simply designed half leaf. 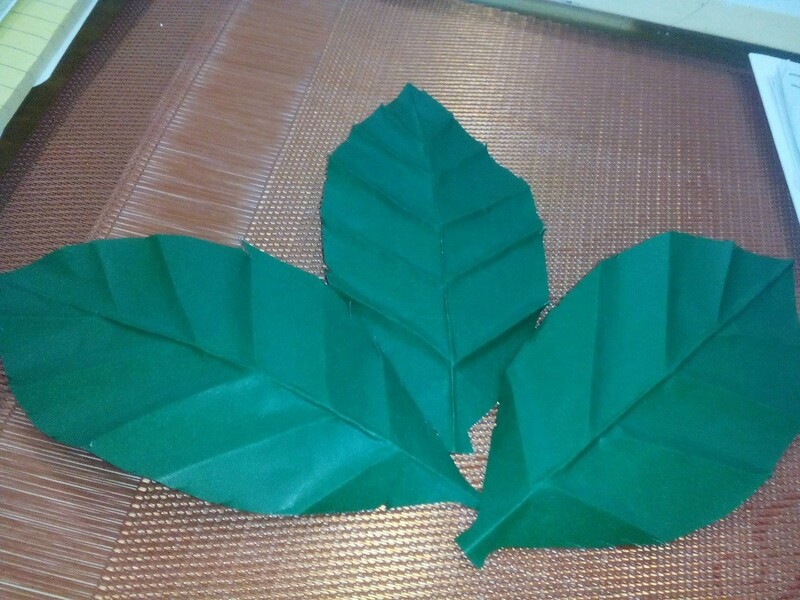 In this project I am working with a rose leaf, so I made tiny cuts on the side that looks like little spikes just how the real rose leaf looks. 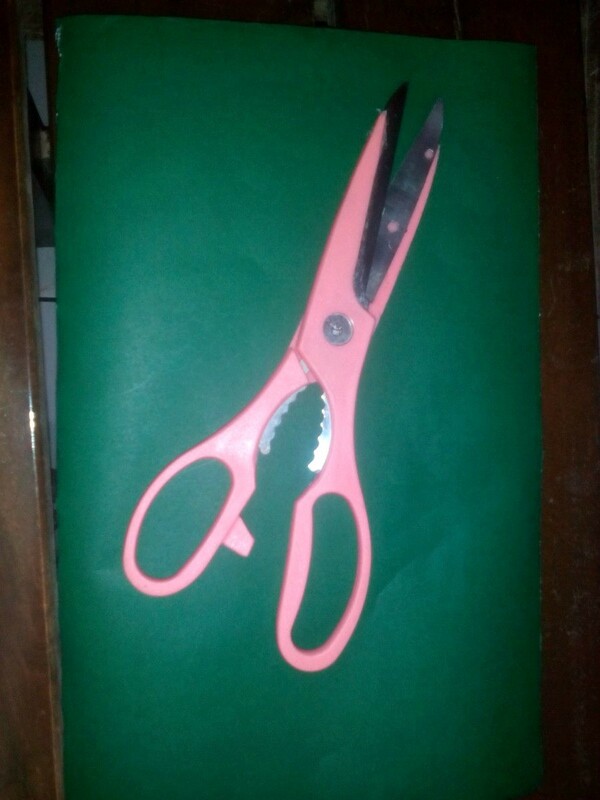 Press the center fold tightly. 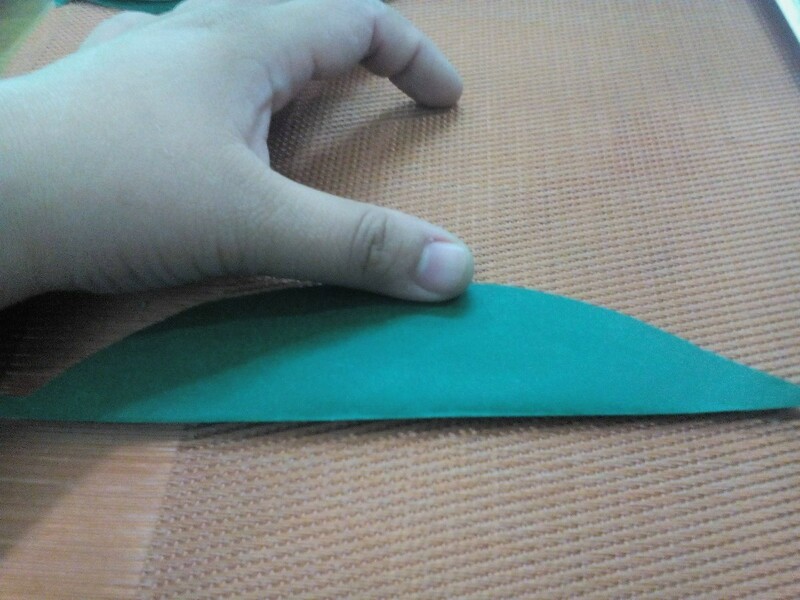 Push the edge of the center fold side by side or make a tight pinch so that it will emphasize the center fold. 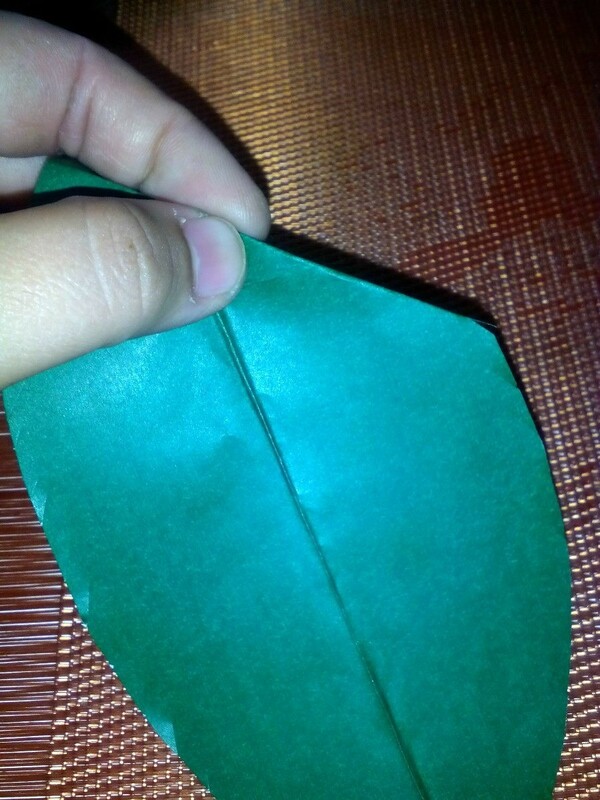 It will create a line in the center same as what every leaf has. 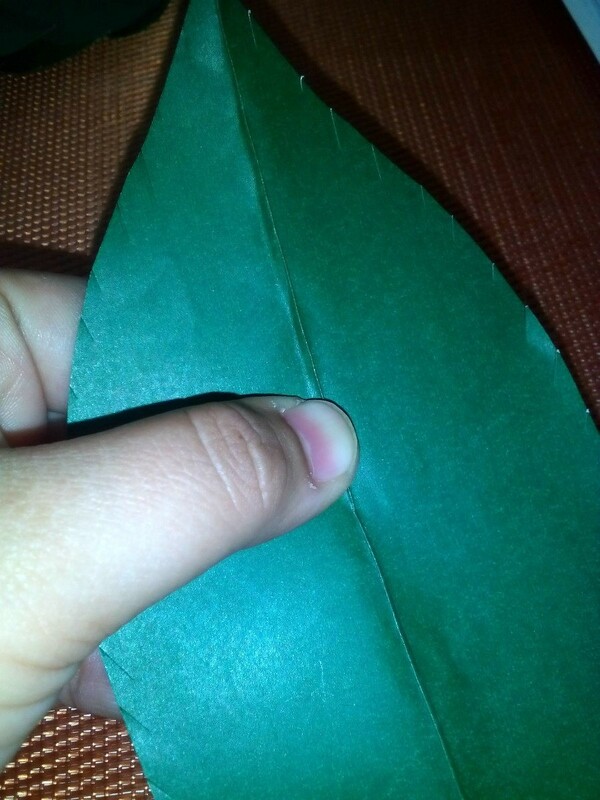 Carefully do the same pinching on the two sides of the leaf in diagonals. 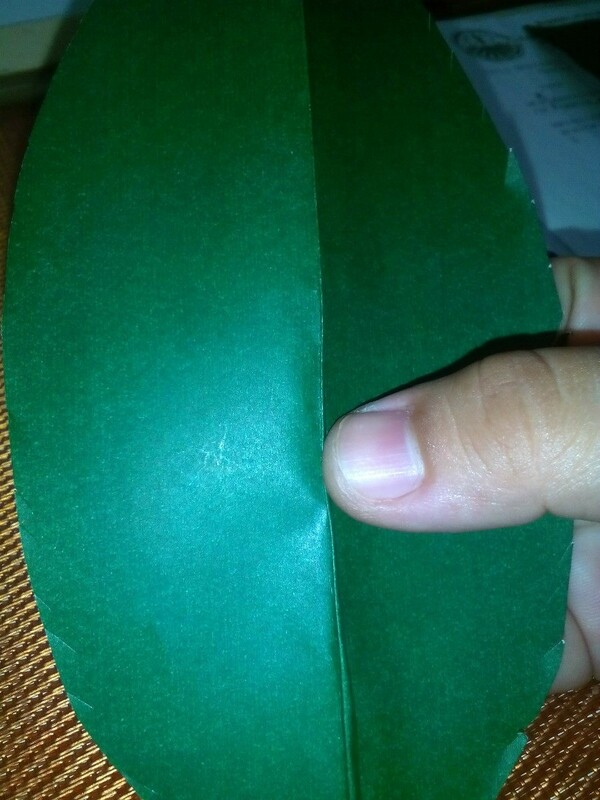 See to it that the center line stays firm and not crumpled. 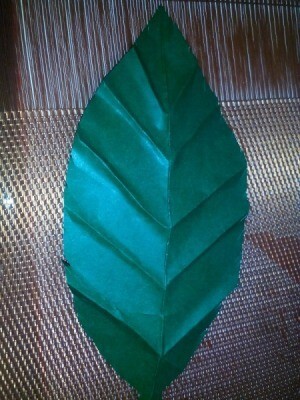 Now the leaf art doesn't look too plain and with tiny details, it looks better and eye catching.